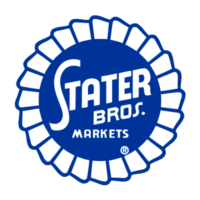 Stater Bros is a chain of supermarkets based in the Southern California region. The company has been in operation for over 75 years and is the largest private supermarket franchise in Southern California. They stand for quality products at exceptional prices and treating loyal customers with respect. See the link below for the online Stater Bros application. Cleo and Leo Stater founded the first supermarket in 1936 in Yucaipa. By 1939, they had opened four more stores. In 1951, they moved into their first warehouse, a 9000 square foot building in Colton. In 1981, Jack Brown became CEO of the company, a position he still holds. They went public in 1985 and opened their 100th location in 1988. Today, the chain has grown to 168 stores. They entered the Fortune 500 in 2005, and in 2007 started building the largest industry distribution center in California. They earned $3.8 billion in revenue in 2013, and they currently employ 18,000 people. In 2012, Leading National Consumer Magazine named them the best place to shop for groceries in Southern California. Not only does the company stand for quality and value to its customers, it also gives back to the community. In 2008 Stater Bros Charities was founded. In the first five years, the non-profit gave over $12 million to surrounding communities, supporting areas of hunger relief, child care, education and veterans’ programs. This community dedication and commitment to quality products makes this company a place where one can be proud to work. Continue reading for how to apply for Stater Bros online and in-store. Those seeking employment in southern California can find job opportunities at retail locations, the distribution center, or headquarters. Supermarkets accept a direct application for retail positions. Stater Bros jobs include cashiers, store clerks, meat handlers, and janitors. Positions are also available at the distribution center in San Bernardino. These include supervisors, truck drivers, and mechanics for forklifts and other vehicles. Degreed professionals can have fulfilling Stater Bros careers at the corporate headquarters in San Bernardino. Current examples of job openings are IT project lead and print service production technician. These job postings change frequently, so check back often. Individuals with pharmaceutical education can also find employment at one of the many Super Rx Pharmacies located inside stores. The minimum age to apply for jobs at Stater Bros is 16 years old. For some positions, this age is raised to 18. Other requirements include being able to stand for long periods of time, bending, twisting, and lifting up to 50 lbs. The company maintains a strict anti-drug policy and all applicants must pass a drug screening. Stater Bros jobs offer a competitive benefits package. There are standard benefits such as a 401K, medical, dental, and vision insurance, and paid vacation and time off. Those working in retail will enjoy flexible scheduling. In addition, the company prefers to promote its own people from within rather than hiring from the outside, so opportunities for career advancement are high. All supermarket locations are open 6am to 11pm, 7 days a week. The corporate office is open 8:30am to 5pm, Monday through Friday. Below is a job description list for several Stater Bros jobs online. Clerk- This position offers general assistance in many areas of the store. Responsibilities include ringing up and bagging customer orders, collecting payment, opening cases of product, stocking shelves, and pricing items. Minimum age for this job is 18 years old, and standing, walking and lifting are required. Average salary for this position is $11/hr. Courtesy Clerk- This position manages the process after the customer has purchased their items. Responsibilities include bagging items, helping customers carry bags to their car, collecting carts from the parking lot, and maintaining a clean bagging station. The courtesy clerk may also have to return product that wasn’t purchased to its proper place in the store. Average salary for this position is $9/hr. Janitor- The janitor ensures that the store remains clean and tidy. Responsibilities include mopping and sweeping, waxing floors, changing light bulbs and other general maintenance, and cleaning restrooms. The minimum age for this job is 18 years old, and the individual must be able to stay on their feet and use liquid cleaning supplies. Average salary for this position is $10/hr. Staff Pharmacist- This position fills prescriptions at the Super Rx Pharmacy in the store. Responsibilities include filling orders according to legal and ethical standards, maintaining cleanliness of the pharmacy area, staying up to date on medicine inventory, and aligning with the pharmacy manager on best practices for maximizing sales. Average salary is $110,000-120,000/yr. Below are some questions you may expect to hear in an interview for the company. Do you enjoy being physically active? Jobs in a supermarket are taxing on the body and energy levels. Almost every job will involve walking, lifting, and standing for long periods of time. The better physical shape you are in, the more success you will have in a supermarket position. Tell me about a time you had to deal with a difficult interaction. You can expect that, at some point, you will encounter a rude or unsatisfied customer. It is important that you can maintain a positive, polite demeanor and handle the situation maturely. Prepare a story that demonstrates this skill. What is your greatest strength/weakness? This common interview question is very telling and will help the interviewer find the right job for you, but you must answer it as honestly as you can. What direction do you want to take in your career? This company prefers to promote from within, so even if you’re interviewing for a clerk position, express any desires you have for advancement. If you’re passionate about a certain area, like marketing or information technology, make that known. Do you enjoy being on teams? A supermarket operates most efficiently when every employee works together for the greater good. The ability to communicate effectively and positively with the other members of your team will ensure your success. Discuss an experience you had when you thrived as a member of a team. The Stater Bros application process is unique in that there is no online application form. The most common way to apply is in a local store. They advertise when they are taking applications. Go inside and pick up a printable application for Stater Bros to fill out. You cannot download application form. You must bring your printable application form back in person. The application process for corporate and distribution center careers is different. You can call the job inquiry line at 888-697-8794 to check for openings and find out when and where to submit your résumé. Do not simply send a résumé to the corporate office in hopes that someone will read it. These will be thrown away. For pharmacist positions, you can apply online by emailing the addresses on the website. If selected for an interview, show up well dressed in business casual or business professional attire, depending on the position. Make sure you have showered and your hair and facial hair are well groomed. When you meet the interviewer, greet them warmly with a smile and use good eye contact and posture to communicate confidence. Also make sure you show up on time with copies of your résumé in hand. Prepare answers to the above interview questions as well as other common questions. Don’t be afraid to ask the interviewer a few things, as well. Inquiring about your typical schedule, the type of work you will be doing, and opportunities to volunteer will show the interviewer that you are invested in the position. It will also help you ensure that this position is the right fit for you.